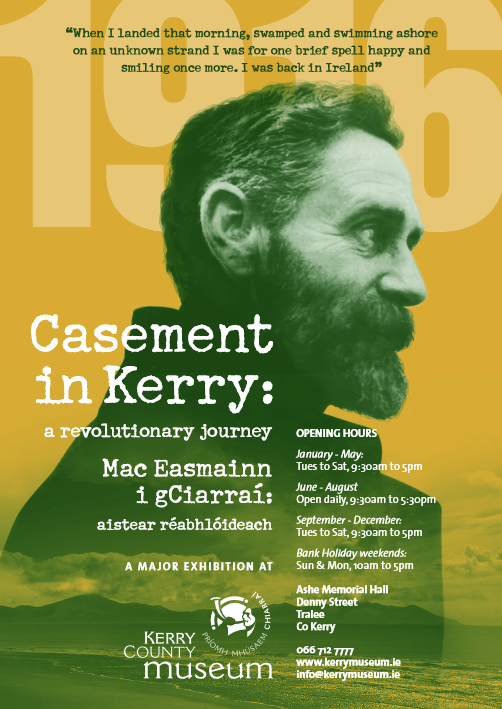 Admission to Kerry County Museum will be free tomorrow, Wednesday 3 August to commemorate Roger Casement’s execution in Pentonville Prison, London on this day 100 years ago. 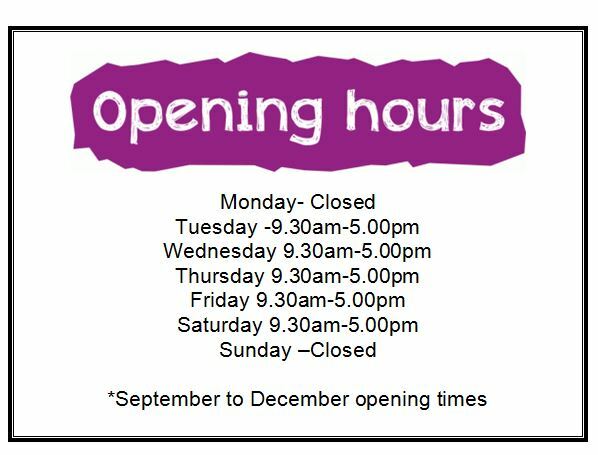 The Museum is open from 9.30am until 5.30pm – last admission is at 4.30pm. Ballyheigue History and Heritage Group is hosting a series of activities on the evening of Wednesday 3 August including musical pieces and a spectacular flare display by the Inshore Rescue, the unveiling of a plaque by Sean Seosamh O Conchuir and an illustrated lecture by our curator Helen O’Carroll at 8pm. Various events will also take place in Dublin, including a special event at the Casement Aerodrome in Baldonnel, Co. Dublin, between 11 am and 5 pm to commemorate the life and legacy of Roger Casement. Museum curator Helen O’Carroll will give a presentation on our current major exhibition “Casement in Kerry: a revolutionary journey”. Media Rising, an interactive exhibition which brings the little known stories of 1916 to life, will launch at Kerry County Museum on Thursday, May 19th at 7pm. The exhibition will continue until September 2016. In the exhibition, see history brought into the present day, through the use of new and innovative technology. Explore the lengths that were taken to print the 1916 Proclamation in the days and hours leading up to Easter Monday 1916. Hear the story of the world’s first radio broadcast which was aired by the volunteers of the Rising from the Dublin telegraphy school. Become immersed in what became an iconic moment in time as Padraig Pearse reads the 1916 Proclamation, before your eyes, surprising you with a modern 2016 twist. The exhibition offers a unique interactive experience for visitors to engage with, and explore history in a new way. Media Rising is produced by Noel Nash, Liam McElligott, Jenny Plunkett and Aine Brennan, BA (Hons) Design for Interactive Multimedia, Institute of Technology Tralee. Did you know that Tralee is 800 years old this year? It was founded by the Fitzgeralds in 1216. To celebrate this very special anniversary, Kerry County Museum would like to invite all local primary schools to enter our Tralee 800 Competition. This is your chance to win a free Living History Workshop with re-enactment group Deise Medieval from Waterford for up to 60 pupils at the Museum on Friday 17th June 2016. The theme of our competition is Medieval Tralee. To enter simply submit your creative project (arts, crafts, costumes, creative writing, drama, dance song – you name it) to the Museum by 31st May. The competition is open to all primary school classes. 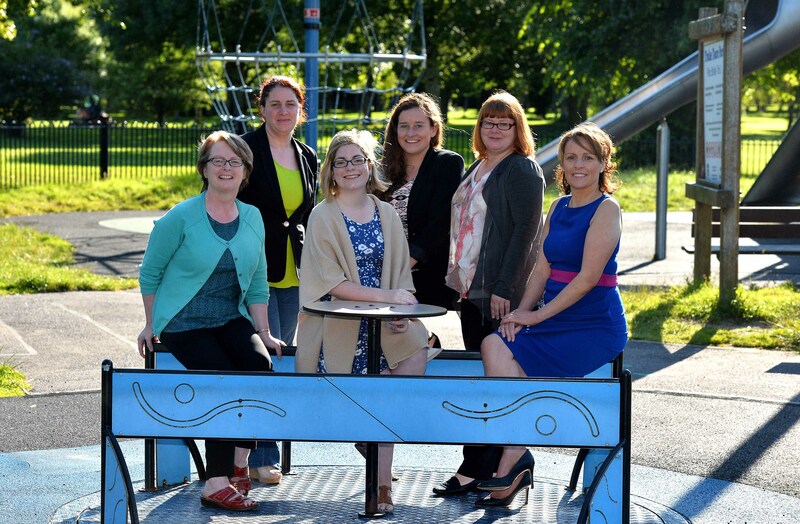 The winning pieces will be showcased at the Park Festival weekend on June 18th and 19th when Deise Medieval will set up camp in our Town Park. Good luck! National Drawing Day takes place in over 160 Museums, Galleries, Libraries and Cultural Centres across Ireland on Saturday 21 May. This annual event is an opportunity to encourage people of all ages to try drawing and sketching. Simply pick up a clip board and pencil at reception and get drawing. 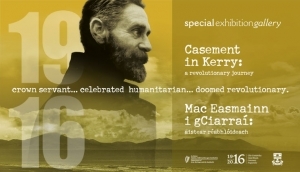 Be inspired by our latest exhibition Casement in Kerry or draw a scene from the Medieval Experience – we would love to see the results. 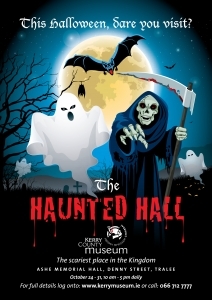 Due to unforeseen demand tours of ‘The Haunted Hall’ are on a first come first served basis. Join Michael and Jemma at the Museum on Friday 28 August 2015 from 2.30-4pm and find out what it is like to be on a dig. The two archaeologists recently excavated a Neolithic tomb in Kerry and have lots of stories to tell. 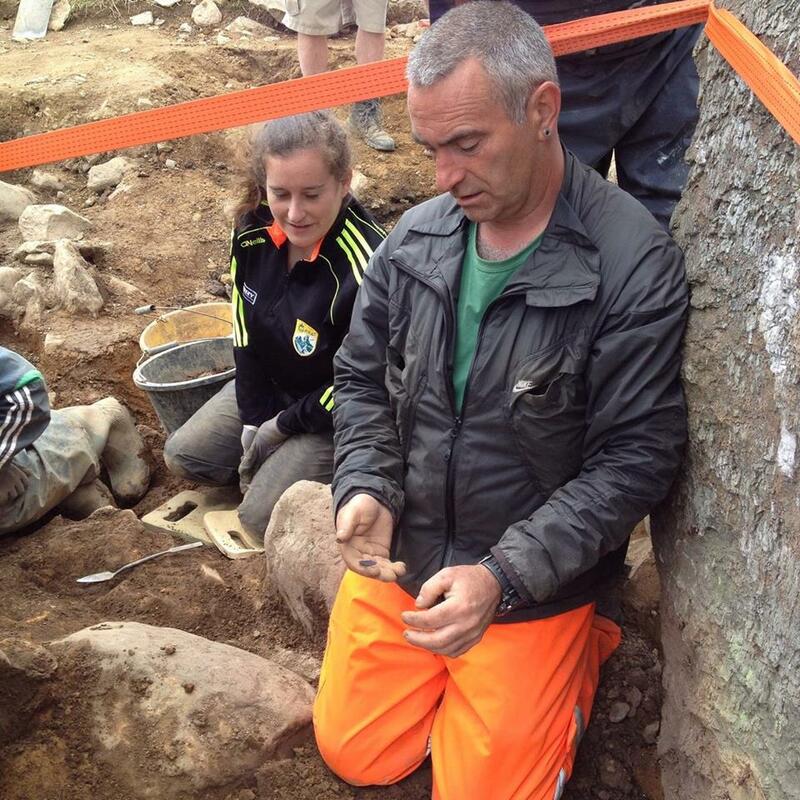 Two finds from the tomb will be on display, a saddle quern stone and a curious late medieval coin! This is also your chance to play a fun game of snakes and ladders based on Michael’s and Jemma’s dig. This is a free Heritage Week event for families, all welcome. Kerry County Museum is delighted to announce that it has added the Sandford Award to its impressive list of accolades. The Sandford Award recognises excellence in the provision of heritage education, particularly to schools but also in the area of informal learning such as family programmes. It is managed by the Heritage Education Trust in the UK in partnership with Bishop Grosseteste University in Lincoln, and it encourages opportunities for children to explore their heritage outside of the classroom. “The standard of delivery observed was generally very high. Critical thinking, emotional learning and creativity are at the centre of planning for learning programmes. Kerry County Museum is blessed with the most important resource of any heritage learning facility, a dedicated and knowledgeable team, which develops and delivers meaningful and instructive programmes at all levels”. Helen O’Carroll, Museum Manager, is thrilled with the Award and with the Judges’ findings: “This is a fantastic achievement by the whole team and I am really pleased that the Judges identified the dedication, commitment and sense of community that is so necessary in a small group such as ours. We mightn’t be the biggest museum in the world or have the largest budget but we have one of the most important core ingredients – a terrific bunch of people who are passionate about what they do. Our team is small but our energy and enthusiasm are huge and that’s why we are able to deliver programmes that engage and inspire”. Kerry County Museum is now a member of a select group as one of only four holders of the Award in Ireland, joining Muckross Traditional Farms, Fota Wildlife Park and the National Museum of Ireland – Country Life. The Award is granted for a period of five years, and each site is reassessed before regaining the imprimatur. Kerry is perhaps a hot-spot for the Award as the first time it was granted outside of the UK the honour went to Muckross in 2003 and they have successfully retained it ever since. The Report highlighted the team’s skill in delivering enjoyable and interactive experiences that suit a range of ages, abilities and learning styles. Education Officer Claudia Kohler says that adaptability is the key to using all of the Museum’s resources so that programmes can be tailored to different groups and abilities: “the Museum as a whole is an amazingly rich resource that can be drawn on in all sorts of ways. Our exhibitions cover 8,000 years of the history of Kerry, telling local stories set in a national context. We have different themed trails throughout the displays and we use activity sheets, interactive exhibits as well as guided tours to draw out stories that are relevant across the primary and secondary school curriculum”. Claudia is delighted that the Judges picked the Medieval Experience as the highlight. “They point out that it is a superb teaching resource for schools and a great tool for comparative social, environmental and scientific studies of the local area. It includes our archaeology workshop, ‘Bone Investigators’, where children get to dig up two Viking skeletons, a man and a woman, along with exciting replica grave goods”. “Kerry County Museum offers learning programmes that are very well developed and delivered in a sensitive way by a knowledgeable and talented team. Schools, families and community groups will benefit from a visit, as the collection and galleries cover the history of settlement and life in Kerry for over eight thousand years, bringing it alive with dioramas and stories of real people and communities. It is a living history that educates and entertains”. The awards ceremony will take place in November, but in the meantime, Kerry County Museum can now add its name to an august list of winners, and take its place as one of the leading providers of heritage education in the country.